finished it in about 2-3 hours. layers is around 30 I think. used a few stock to get things right. wow!!!! sakura looks soo cute in a kimono!! nice bg!! i like those roundy full of flowers in it!! nice petals aound here! cute font as always! this wall is awesome!! great wall!++++Fav! wowza, that is such a prettie Sakura scan >_< i think the flowers matches with her kinomo. i c nothing wrong with the background, suits the scan well ^^ +favvie~! Are you kidding me? You still have your skills. :P This wall looks good, although I would say the typography could use more editing, especially with the colors. White is fine, but, I dunno with the violet/purple on the text... It looks weird. Character extraction is awaesome! Everything looks fine as it is. Still a great wall! Lovely! That's a very nice wall, and the colors are cool, and there is a lot of pink and I like it a lot. It has a good theme and Sakure looks cute. Good Job. Fav 4 Sure. I thought the scan looked a lil dark..but when I full view it.. it looks luvly. nice job as usual exentric.. This wall is super cute! I really like the colours and the flowers! AHhh! It's too cute! I can't wait for more walls!!!! XDi like the sweet purplish colours, kashii ^__^ It's also been quite some time since you walled ne XD? I'm no good with stock photos XP you ain't bad at it! 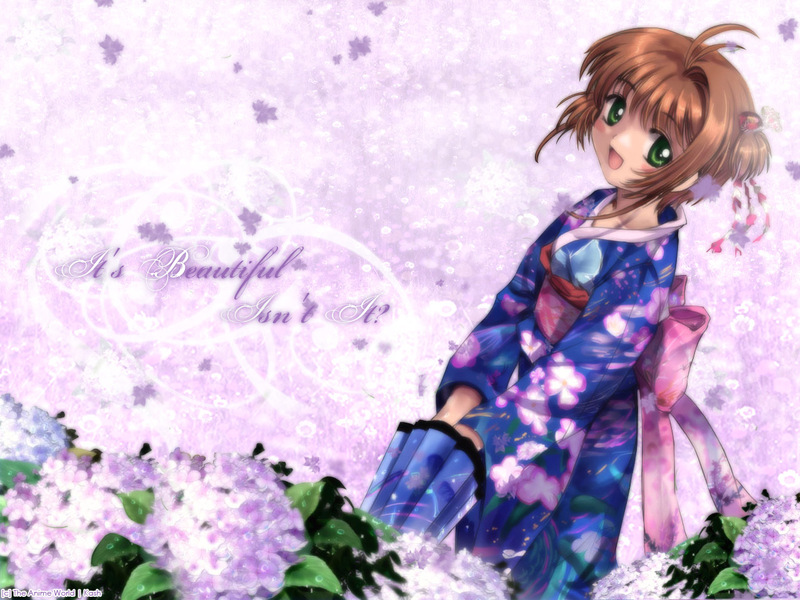 Really, really pretty background and character you've used ^^ . Had to add it to my favourites ^__^ . sakura looks so cute and the flowers in the front are very beautiful. everything matches well. Wowies! It's so cute! I love how you did the font! It's very unique! Sakura looks really cute here! The background is nicely done! The flowers and the colours matches really well! You still got skills ^^ Keep up with the great work! The background is really pretty. I really like all the flowers. Purple is such a pleasant color. And the scan you used of Sakura blends really well. It has a simple feel to it, but I dont see any problems. Also, the way the flowers are on the bottom .. I think the way they are aligned bothers me a bit..It doesnt have the "natural" fell to it. But other then that this looks great!